Hey there and happy Monday! I hope that you had a great weekend. Mine was good :) No complaints here. 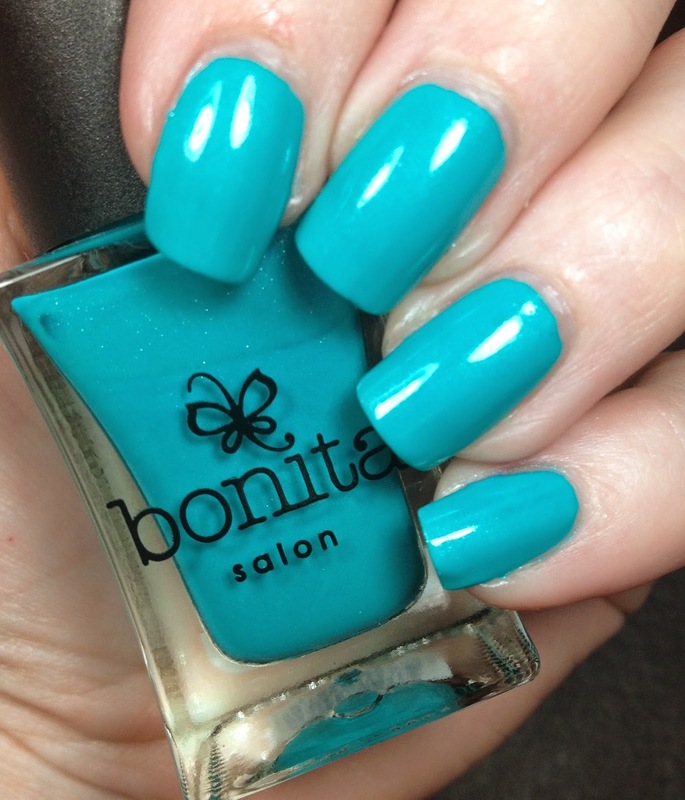 I have recently heard a lot of great things about the company Bonita. 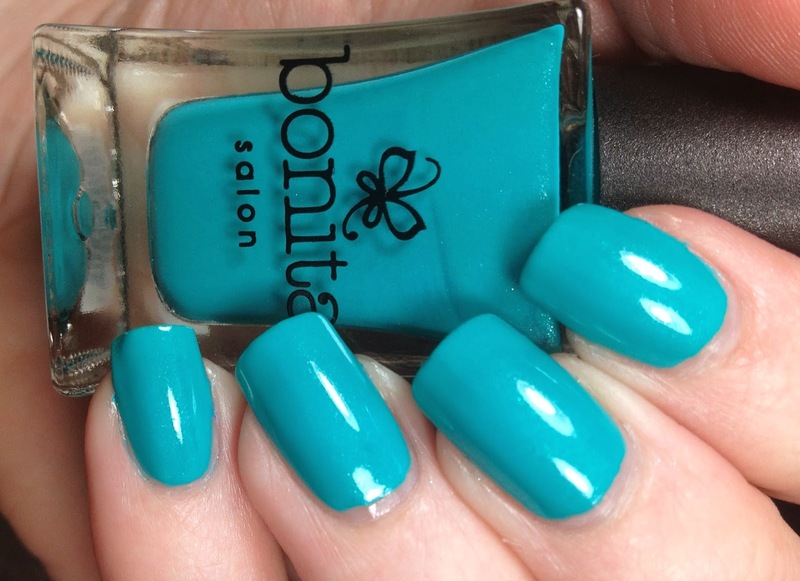 I kept hearing how awesome the polishes were and how inexpensive they were. Well I know that they are sold at Rite Aid and I have a couple of those here, so I decided I would go out and grab a couple so I could check out the hype. Verdict? Awesomeness. Seriously, for the price point these just can't be beat. I bought two polishes and you can see them below. 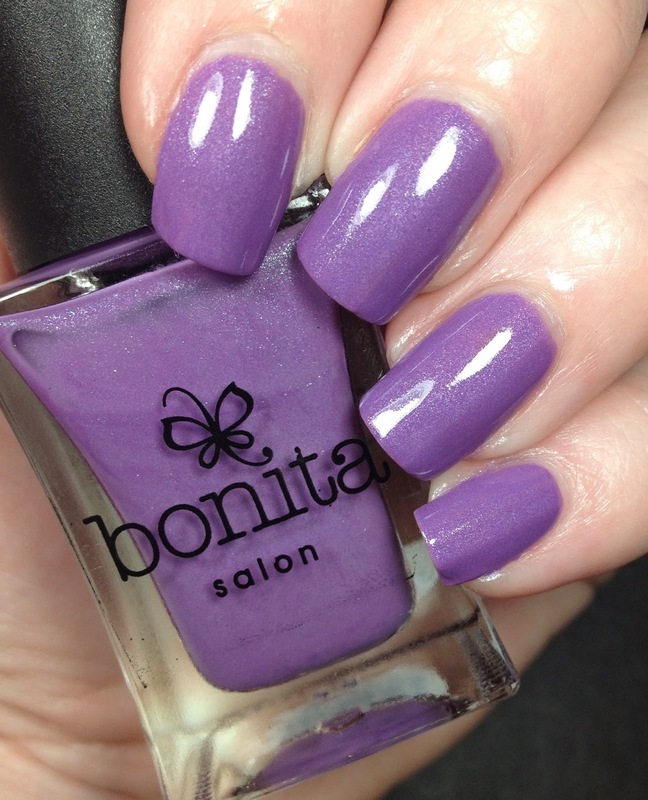 First up is Royal Highness and this is two coats. I did not note which top coat I used so I am sorry I don't have that to report. I do know that the formula was outstanding and they wore well. 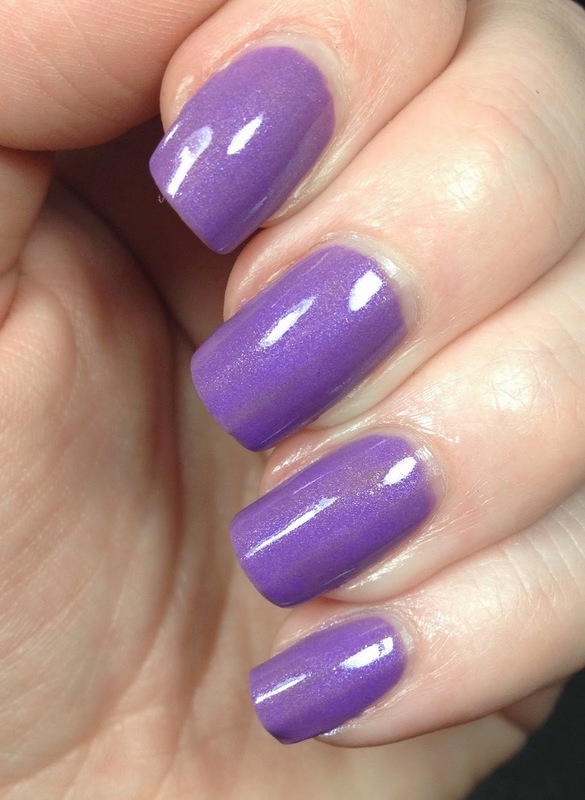 This was a rich purple and had this glorious shimmer to it. This is Blue Steel (reminds me of Zoolander, right?) 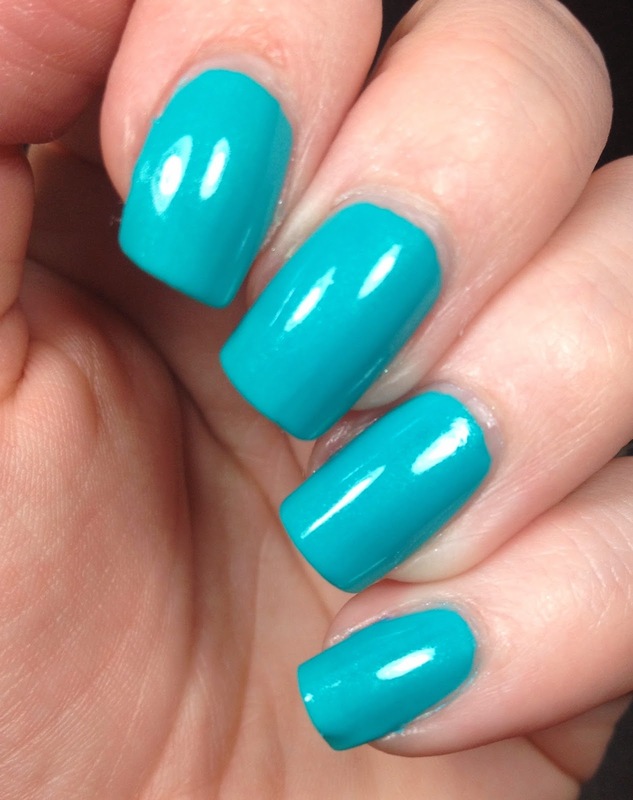 This is also two coats and yet again, no note on the top coat.. A lovely teal blue, almost leaning to a Tiffany sort of blue. The formula was dreamy and the wear time was great. On the Bonita site they are $3.99 and I don't remember how much they were in the store. They have a much wider range online and I would like to find more of them. I have heard that Walgreens sells them too. 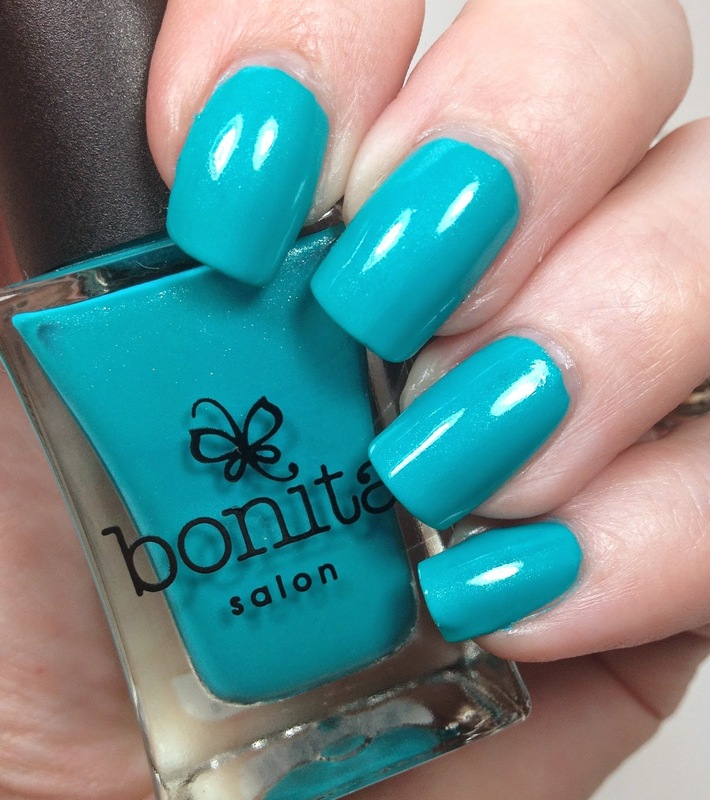 Both are great colors from Bonita!